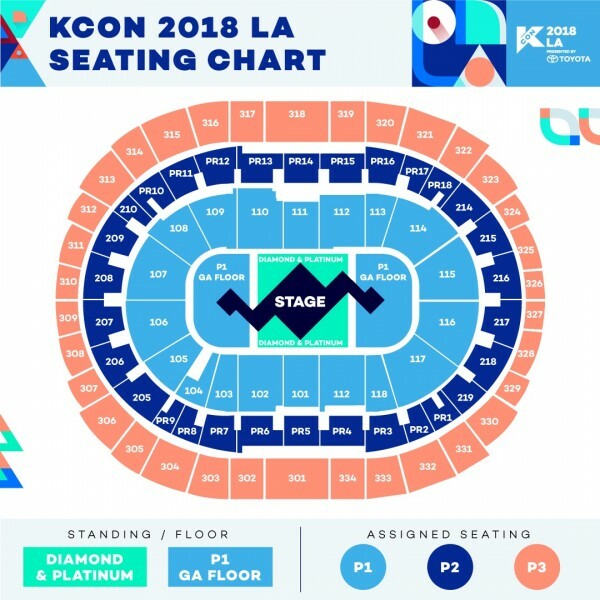 With a week left until tickets officially go on sale, ​KCON USA​ has unveiled the seating chart for ​KCON 2018 LA​. As previously reported, there will be five different types of tickets: Diamond, Platinum, P1, P2, and P3. Similar to last year, the entire stadium will be able to see the artists perform on the stage, but unlike last year, the stage has been extended on two sides, allowing more fans to see their faves up close. This latest development should have an interesting effect on sales, especially with fans considering the higher-priced ticket tiers. If you're going, which ticket tier do you have your eye on?